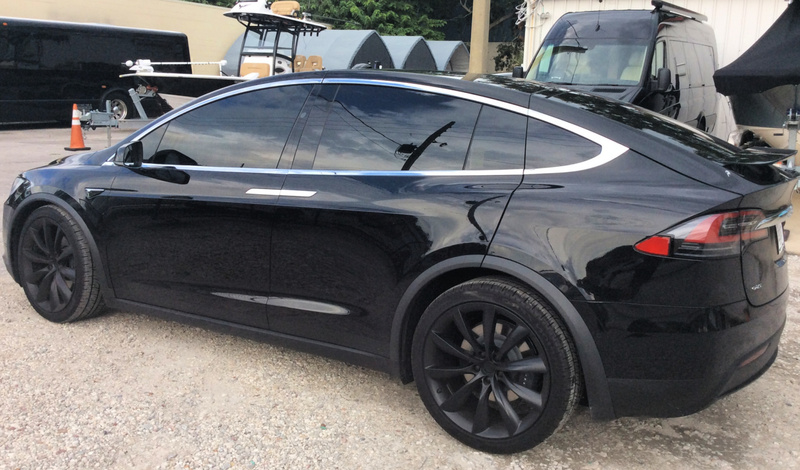 TESLA Model X Window Tint, Paint Protection, Chrome Delete + More! We offer the absolute best in ceramic window tint: Huper Optik Ceramic, Llumar Formula One Stratos and Pinnacle, and DUB iR Ceramic, and more. We install window tint for all Tesla vehicles including Model S, Model 3, and Model X. Call us at (407) 797-8386 or email us at tesla@orlandotint.com for more information! We provide a premium Chrome Delete service where we “blackout” and cover all visible chrome on any model of Tesla. De-chrome wraps, a simple vinyl wrapping process, can replace the chrome on your car to something more suitable, usually gloss, satin or matte black. 100% reversible without damage and protects your Model X's paint from wear and tear. Protect your Tesla Model X today and drive a new car everyday. 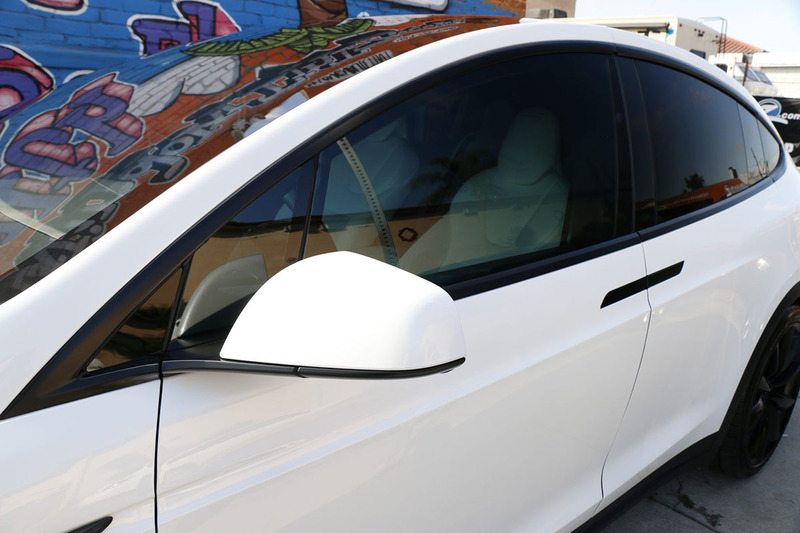 Paint Protection Film is a clear and virtually protective film technology that protects your Model X's factory paint from scratches, chips, and stains while enhancing the resale value of your Tesla.